Evaluating your health using physical exams, lab work, and thorough medical intakes. Developing a treatment plan that is specific to your individual needs. Tracking your progress towards your health goals and helping you to move forward through any obstacles that block you from reaching them. Giving you the tools to take care of your body and obtain a higher state of health. Health prevention and daily maintenance, helping you to feel your best every day! Finding the root cause of your health issues – Your ND is a trained medical professional who will do a thorough assessment, physical exam and lab tests to determine the cause of your complaints. Having someone take the time to properly listen to and evaluate your concerns allows for more complete resolution and prevents future issues from arising when the root cause has not yet been addressed. Patients are often interested to learn that migraines don’t happen because of a “Tylenol deficiency” and that contrary to popular belief; heartburn is often actually caused by low stomach acid and other factors that weaken the esophageal sphincter. You’re not getting better – When your health issues fail to resolve, usually this either means the underlying cause is not being treated or there is something missing from your treatment plan. It’s always helpful to get a second (or third, or fourth…) opinion, and a Naturopathic Doctor is trained to look at your health from all perspectives. If you’re wondering why you’re still exhausted despite taking iron supplements, exercising four times a week and getting 8 hours of sleep, your ND can probably help! Debu nking confusing nutritional advice – Let’s face it, there is a lot of contradictory information in the media, i.e. Is coconut oil good for you even though it’s a saturated fat? Should you drink coffee? How often and how much should you be eating? What’s the deal with “wheat belly” and should you be avoiding grains altogether? A Naturopathic Doctor can help find out what is best for your individual nutritional needs and clear up the confusion. Finding out what YOU need. Many people watch “Dr. Oz” and develop their own complex concoctions of supplements and treatment regimes. Self-prescribing without knowing your individual needs can cost literally thousands of dollars a year without making a dent on your health! Although there is great value to self-education, most people have very individual needs that can’t be properly assessed and evaluated through a television. By seeing a Naturopathic Doctor you will have a trained professional who can evaluate your health and prioritize what you If you would rather have a human doctor make your treatment plan instead of a TV doctor, a Naturopath is a great option! For any further questions or if you want to book an appointment with our Naturopathic Doctor, please click here. 1. First Do No Harm – When used properly, naturopathic therapies present a very low risk of side-effects and most often use the least invasive means to stimulate positive outcomes. This system also avoids the harmful suppression of symptoms, which can cause more damage to the body in the long-term. All recommendations made by your Naturopath will also be pre-screened to avoid potential interactions with current medications or other supplements. 2. Treat the Root Cause – Underneath every symptom, there is often a much bigger picture that causes it to appear. The body often uses “symptoms” as a way of warning you that something deeper is brewing and requires your attention. Your Naturopath will seek and treat the underlying cause of your ailments, providing longer-lasting and more permanent resolution to your health concerns. 3. “Vis Medicatrix Naturae” (aka Supporting the Healing Power of Nature) – The body has its own innate capacity for self-healing, which from time-to-time requires our support to assist its full effectiveness. The “vis” also encompasses the healing power of the many naturally-occurring plant, animal, and mineral-based substances found in our environment. 4. Treat the Whole Person – Individual health comprises many levels including physical, mental, emotional and environmental. Naturopathic medicine looks at all of these levels and seeks solutions which satisfy these needs in their entirety. 5. Doctor as Teacher – Your Naturopath can educate you on a wide-range of health-related topics, all the while teaching you how to better care for yourself and encouraging successful self-responsibility. 6. Prevention – Your Naturopath can assess risk factors, genetics and susceptibility to disease in order to make an appropriate treatment plan that prevents the possibility of future illness. Lyme disease – click here to find out how! Book a free 15-minute consult with our Naturopathic Doctor for more information or to learn more about what you can do to achieve lasting health! What should I expect in my first visit? The first visit is a 90-minute intake reviewing your current health concerns, a comprehensive health history, as well as a preliminary screening medical examination. During this time your Naturopath will get to know your health inside and out, and will get you started on a preliminary baseline treatment plan. Should I bring anything to my first visit? Please include any recent blood work and/or lab tests, as well as a list of current supplements and medications. Are naturopathic visits covered by insurance? Although not covered by OHIP, most extended healthcare benefits will cover a portion of naturopathic treatments. Check with your insurance provider for more information. 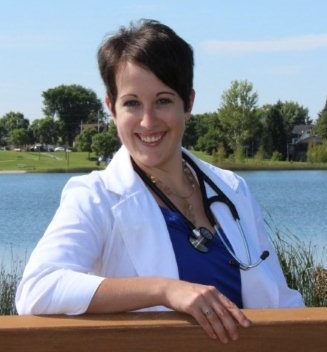 How are Naturopathic Doctor’s trained? Prior to being enrolled at an accredited Naturopathic College, your Naturopath obtained a minimum 3-year undergraduate degree including basic pre-medical science requirements. There are only two accredited colleges in Canada, the Canadian College of Naturopathic Medicine (CCNM) in Toronto and the Boucher Institute of Naturopathic Medicine (BINM) in Vancouver. Both programs consist of a four-year, full-time course with 4500 hours of training in basic medical sciences, clinical sciences and naturopathic therapies. The fourth year involves an internship and all graduates must complete 1500 hours of supervised clinical training to obtain a Naturopathic Medicine degree. Upon completion of training, your Naturopath must successfully pass both North American (NPLEx) and provincial board exams in order to be able to practice in Ontario. All Naturopaths practicing in Ontario are regulated by the Board of Directors of Drugless Therapists – Naturopathy (BDDT-N) and the Transitional Council of the College of Naturopaths of Ontario (TC-CONO). VIDEO: How Does Cupping Work?